We Manufacture Custom Made Plastic Fasteners. Owing to our rich industrial experience we are able to make our innovative product i.e. High Tensile Fasteners. These products are sturdy in construction & having the good & quality life. The main features of these products are having the corrosion resistance & it is variously used in all most all the industries. - Size: ¼ to 4 & as per PO. 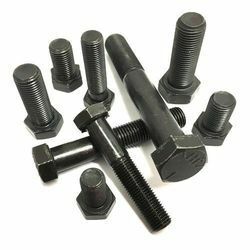 We are reputed as one of the trusted name for High Tensile Fastener. These products are fabricated using high quality raw material by our highly skilled and well talented personnel.